i.i The purpose of the Settle—Carlisle Railway Design Guide is to set uniform standards of restoration and maintenance for stations along the line in order to achieve a consistency of quality and appearance that will enhance the status and appeal of the route. i.ii The Guide is not a mandatory document, nor does it seek to supersede existing standards, practices or legislation. On the contrary, the Guide serves as a means of working with existing practices and seeks to draw the user’s attention to them with either direct quotes or references to the appropriate documentation. ii.i.i It has long been recognised that the S&C holds a unique position in railway history in terms of the architectural characteristics of the mid-Victorian period. This was largely due to the fact that the route had followed a steady decline in its status since the formation of the LMS in 1923, when it was relegated to a route of secondary importance. ii.i.ii This process continued through Nationalisation in 1948 and the loss of the local stopping services in 1970, culminating in formal closure proceedings being instigated in 1984.
ii.i.iii Consequently the line suffered from a lack of investment and did not undergo the rebuilding and modernisation that most other mainline routes enjoyed. In later years this resulted in minimal maintenance. ii.i.iv Whilst this left the line in a very poor state of repair, it also left a unique legacy of buildings and structures. The line was closer than any other to its ‘as built’ state. ii.ii.i This afforded the line a special architectural and historical status that was recognised in 1992 by the Local Authorities along the route granting it Conservation Area Status. ii.ii.ii With this came additional responsibilities for owners and managers of properties within this area. Consideration had to be given as to how proposals to renovate or alter structures would affect the general environment of the Conservation Area. Additional planning restrictions were also imposed. ii.ii.iii In addition, certain structures had been scheduled as Ancient Monuments and buildings listed as of Architectural and Historical Interest. ii.iii.i The line’s Conservation Area status focussed attention on the need for a formal and structured approach to these additional responsibilities. It was recognised that in order to maintain and enhance the line’s unique characteristics, a uniform approach to restoration, alterations and additions was required. ii.iii.ii At the same time it was also recognised that such an approach had to strike a delicate balance between conservation, preservation and restoration and the need to provide a service and facilities appropriate to a modern railway. 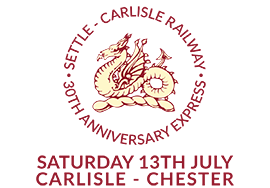 ii.iii.iii This concept had already been pre-empted by the production of a comprehensive document entitled “Settle–Carlisle Renaissance” published by the Standing Conference for the Settle–Carlisle Railway, commissioned by BR Provincial management. This document set out to create a uniform approach to renovation and improvements to stations along the line. Whilst it may seem to many now to be somewhat uncompromising in its modernisation proposals, in essence it was what a design guide was all about. ii.iii.iv The formal proposal for a Design Guide originated with The Settle and Carlisle Railway Trust, The Development Company and the Friends of the Settle-Carlisle Line. Peter Robinson, a former Trustee, drew up a comprehensive proposal which envisaged covering all aspects of the line, from tunnels and viaducts to flora and fauna. ii.iii.v A brief was produced, seeking funding from interested parties and proposed engaging the services of a professional Consultant to produce and publish the Guide. ii.iv.i. After considerable debate, it was agreed by all interested parties that the scope of the guide required consolidation. It was recognised that the task involved in producing a Design Guide to the original scope represented a vast undertaking and would run a high risk of never being completed. ii.iv.ii It was therefore agreed that a much-simplified document would be commissioned, focussing exclusively on stations presently in use between Settle and Armathwaite inclusive. ii.iv.iii This was seen as the correct priority as the stations are the focal points of the line and the scale of the task was achievable. The inclusion of other buildings and structures could be considered at a later date. iii.i The principal objective of the Design Guide is to provide a clearly defined and structured approach to all design aspects of stations in use along the line. iii.ii The Guide is intended to build on what has already been achieved in recent years; to strike a balance between the need for smart, modern, fit-for-purpose facilities and the desire to maintain the distinctive Midland “flavour” of the line. iii.iii The Guide is intended to be comprehensive and yet comprehensible, and above all else, easily accessible and easy to use. The original loose-leaf format allowed for periodic amendments and additions to be issued as required. This was an important consideration as it was necessary to cater for changes in standards and specifications that would inevitably occur, as well as embracing new technological innovations. iii.iv Although many improvements have been made to stations in recent years, it is apparent that there are many inconsistencies and inaccuracies in detail, such as colour schemes, bargeboards, ridge-tiles etc. The Guide sets clearly defined standards and specifications. iii.v The specifications laid down in the Guide are defined within the parameters and criteria agreed by participants and comply, where appropriate, with laid down standards stipulated by Network Rail and any other appropriate organisations. iii.vi The inclusion of an Inventory of Stations aims to provide an up-to-date record of each station, listing all outstanding work required to bring them up to the standards set out in the Design Guide. iv.i It should be noted that many of the criteria featured in the Design Guide are over and above those required as a statutory minimum to be provided by Network Rail and the Train Operating Company. Their application and provision will therefore often involve additional costs that may have to be met by third parties. iv.ii This principle has already been followed in with works already undertaken. Station building renovation and the provision of decorative features such as bargeboards, ridge tiles and windows and the installation of new lighting to the Midland pattern are examples of additional costs being met by outside funding partners. iv.iii Each issue will have to be dealt with on its own merit and it is the purpose of the Design Guide to point this out but not to prescribe the methodology. Settle, Horton-in-Ribblesdale, Ribblehead, Dent, Garsdale, Kirkby Stephen, Appleby, Langwathby, Lazonby & Kirkoswald and Armathwaite. vi.i The key issues in ensuring the Guide works effectively are ease of access, clarity of layout and the ability to keep the document updated. vi.ii With this in mind the original document was in loose-leaf format to A4 size contained in a hardback ring binder. vi.iii Inside, the Guide was subdivided into the separate sections by using card inserts. The pages were simple black and white text and diagrams/drawings where relevant. Use of colour was restricted to the cover design and a logo on each page. This kept production costs down to a minimum. vi.iv A standard format for each page insert had been devised to give clarity and uniformity to the guide. Page numbers were omitted to facilitate future amendments. vi.vi Since the Guide was originally published, increased accessibility to information on the internet has enabled the Settle-Carlisle Partnership to reproduce the information on the S&C web site. Rather than limiting the information to groups or individuals it was decided that the contents of the Design Guide should be made freely available to anyone interested. The important aspect of this open-information approach is that work on stations must always be approved by the appropriate responsible organisation. Strict Rules exist that govern the undertaking of any works within a station area. Before any work is undertaken on a station in an area that is within the TOC Lease Area, the necessary permission must be obtained from the relevant Authority. A system is already in place in respect of the FoSCL Station Representatives which allows the undertaking of minor works. viii.For the Guide to be effective strict controls were exercised over its initial distribution and subsequent amendments. To this end, a limited number of Guides were produced and distribution was restricted exclusively to previously agreed interested parties and organisations. Amendments were issued periodically. Each set of amendments was issued with the individual document section number on each page along with the date of issue. An amendments record was included in each Guide. An amendments pro forma was distributed to all holders of the Design Guide and this was to be submitted no later than 4 weeks prior to the issuing date. The Guide was controlled and managed by The Settle and Carlisle Railway Trust. A master copy was maintained on CD which enabled amendments and updates to be effected “in house”. The Guide was distributed free of charge to all recipients, the costs being borne by the overall project funding. However, replacement or additional copies would be required to be paid for, the current charge being obtained from the Project Co-ordinator. The Settle-Carlisle Partnership view the Design Guide as a dynamic document subject to change and development. Change may affect the details in this guide, as work on the stations is constantly undertaken. Whilst every effort is made to ensure the information is correct and up to date the Partnership cannot accept responsibility for any errors or omissions. The following organisations and individuals were recipients of the original Design Guide. In addition to the foregoing a copy was maintained for each station, lodged with a named representative and a master copy held by the Settle & Carlisle Railway Trust. On the internet the Design Guide is free to anyone interested in the architectural improvements at stations and other buildings on the Settle-Carlisle Railway. Permission for work must always be obtained, depending on the nature of the work, what the property is and who it belongs to. All the information contained in the guide remains the property of the Settle-Carlisle Partnership. The Partnership will always hold a definitive copy.